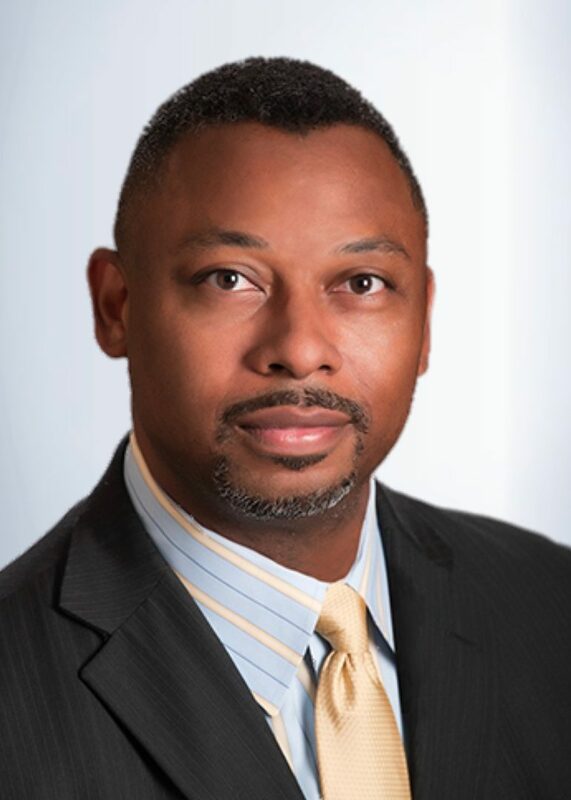 BETHEW “BERT” JENNINGS III – 100 Black Men of America, Inc.
Bert Jennings is now Senior Counsel for IP Agreements at LyondellBasell, one of the largest plastics, chemicals and refining companies in the world. His previous 20 years of experiences include: Senior IP Counsel, Bechtel Corporation; Private Practice with his own firm, Jennings Law Group, P.L.L.C. ; Executive Director of Intellectual Property and Corporate Development with AT&T; Halliburton Company as IP Counsel of Digital Consulting and Software Licensing; Landmark Graphics Corporation as Chief IP Counsel; U.S. Patent & Trademark Office as a Patent Examiner; Thomas, Kayden, Horstemeyer & Risley, L.L.P. in Atlanta, Georgia, as an Associate; and International Business Machines /NASA Johnson Space Center as an applications/requirements analyst for the Space Shuttle software system. Along with lecturing for various organizations, he is an author; past adjunct professor of Intellectual Property Law, Patent Law and Licensing, Thurgood Marshall School of Law; and past graduate professor of software applications and development at Clark-Atlanta University. Mr. Jennings received a BA in Computer Science from Morehouse College; a MS in Computer Science from Clark-Atlanta University; a JD from Georgia State University, College of Law; and a Master of Law degree in Intellectual Property from Franklin Pierce Law Center and MS in Human Resource Development from Texas A&M University. Mr. Jennings further received a Certificate of Study from Johannes Kepler University, Linz, Austria, where he studied International/Comparative Commercial Arbitration/Mediation. He is registered to practice before the United States Patent and Trademark Office, State Bar of Texas, the District of Columbia and the United States Supreme Court. Mr. Jennings is active in the local bar community, where he is a Past President of the Houston Lawyers Association, a Fellow of the Houston Bar Foundation and a member of various other bar organizations. He is active in the bar community state-wide, where he has served as Chairman of the African-American Lawyers Section for the State Bar of Texas, and Vice Chairman of the Council of Chairman for the State Bar of Texas, and is a Fellow of the Texas Bar Foundation. He is also a member of the College of the State Bar of Texas and a Past Director on the Board of Directors for the State Bar of Texas. Nationally, he is a member of various national bar organizations, including the National Bar Association, where he has served as Director, Region V (Texas, Louisiana, Mississippi and the Canal Zone). Mr. Jennings is civically involved with the community, as well. He is currently Chairman Emeritus of the 100 Black Men of Metropolitan Houston and currently serves as National Board Member at Large for the 100 Black Men of America. He is also an alumnus of Leadership Houston.